My husband and I will be celebrating our 7th anniversary in a few weeks and it feels like the years have just flown by. 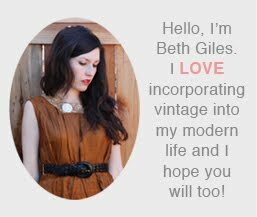 I was excited recently when I got an email from a friend of a friend whose wife is a Salvage Life customer. He said their 4th Anniversary was coming up and he was interested in ordering a custom necklace. We worked together on the design and then I made a custom gift box and bag, I also included a little note I typed on my vintage typewriter. Such a lovely idea, that necklace is absolutely beautiful!! Very nice, Beth. Such a sweet idea. Love the watch and necklace and the gift packaging. And Happy Anniversary when it comes.